The traditional LWS Pak Mei School was inaugurated in December 2011 at the Dojo5. Now the school is located in its own premises, 12 rue du Grenier-Saint-Lazare in the third district of Paris. The aim of our school is to perpetuate the Pak Mei that Lao Siu Leung bequeathed to his son and heir Lao Wei San (LWS), who then transmitted it to myself. This genuine Kung Fu style is the result of the work of several people, several masters, who, over time, continued to require their best to themselves and to their disciples. A genuine Kung Fu style results from the work of several men that transmitted the movements, the energy and the very essence of the style. However, each Master has his own exigency and his way to teach his art, in respect of the martial lineage. In recognition to my Sifu's exceptional level in this genuine Kung Fu style, and to his fair and exceptional human nature, I decided to give his name to my school. 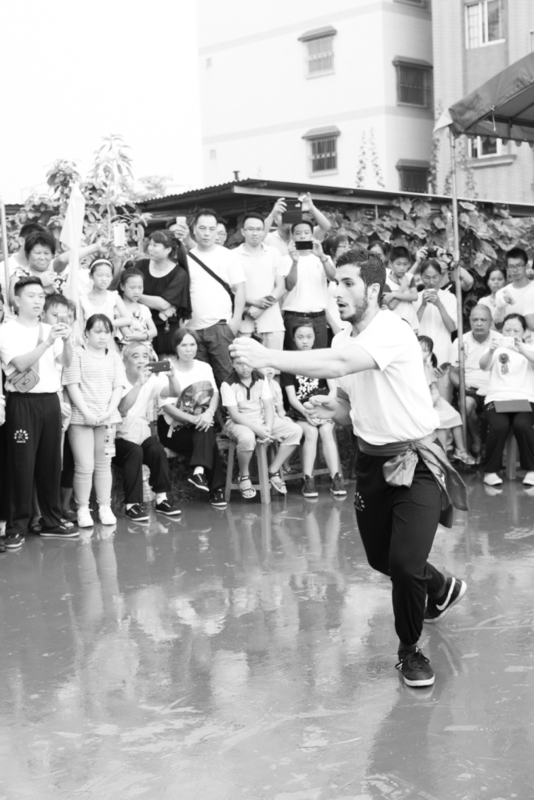 For the last five years, the LWS Pak Mei School has performed lion dances in Foshan (China) for the anniversaries of Siye Lao Wei San's school. Sifu Benjamin Culos, President of the Parisian branch of the Foshan Pak Mei Sport association, and vice president of the Foshan Pak Mei Sport association of China. In Foshan, the genuine Kung Fu Pak Mei is transmitted from Master to Disciple, who have a filial relationship. Several types of apprentices co-exist: the learner is on probation. If the learner trains hard and with rigor, and expresses his gratitude to his Master, he can ask to become his disciple through the Baisi ceremony / 拜师. If accepted, the student becomes a disciple-apprentice Tudai / 徒弟 and must prove to be worthy of his Master's confidence, through training to master the basic techniques of the style. The disciple-apprentice becomes disciple-advanced Daizi / 弟子 only when his Sifu recognizes he/she masters the basic techniques of the style and he/she can teach to the learners of the schools. The Disciple-advanced may become a Sifu / 师⽗only if he/she gets the level required by his master. During his/her learning process, whatever his/her level is, the practitioner must show perseverance and must prove to his master that he/she deserves his teaching. 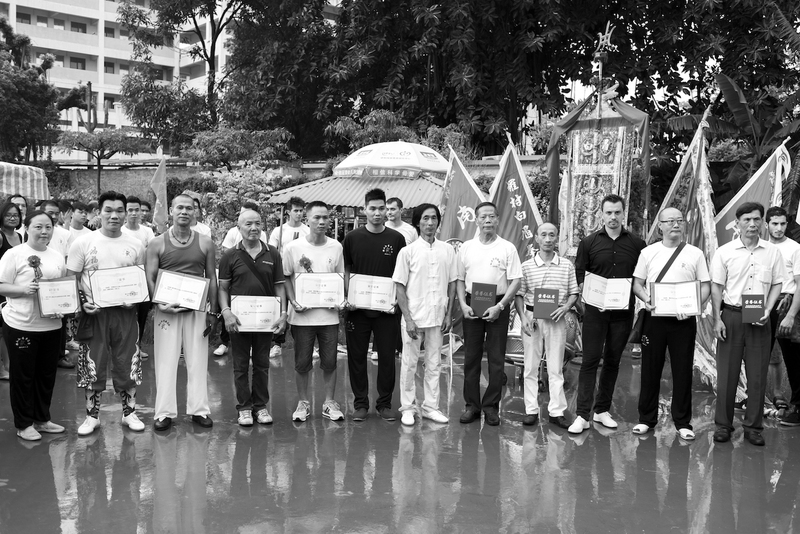 In China, in parallel with their martial level, disciples are integrated into the organization of the school, which is based on the Confucian model: the master of their master is considered as a grandfather, their master as a father, and other practitioners as brothers and sisters - those who integrated the school before are considered as big brothers and sisters. The LWS Pak Mei School is a place of meeting and gathering, where learners of all ages and social origins train together, share their passion and become friends. When they become disciples, they integrate the organization of the school based on the Chinese culture. 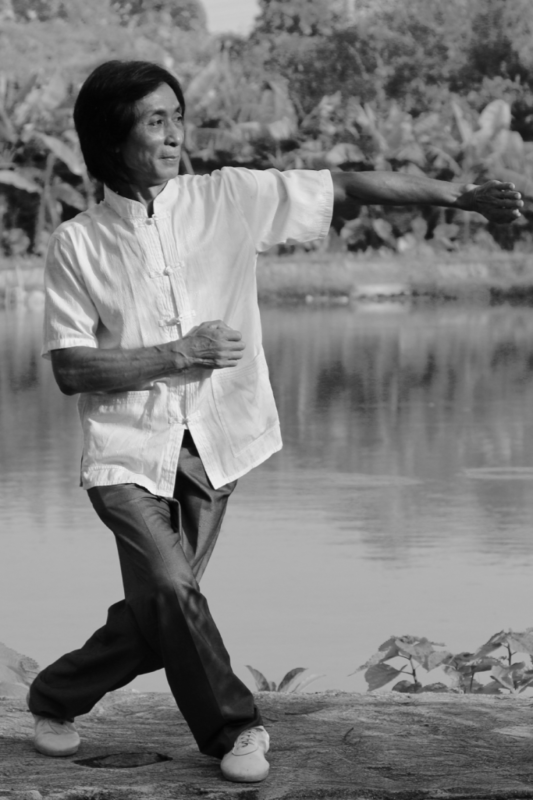 The aim of the practice of Pak Mei in our school Kung Fu is to develop the physical capacities and techniques of practitioners as well as their benevolence, a fundamental value of martial virtues. In the teachings of the LWS Pak Mei School, an important place is given to culture. Beyond the transmission of martial techniques, it is a whole martial and cultural system that is linked to all the elements that made the Chinese civilization. 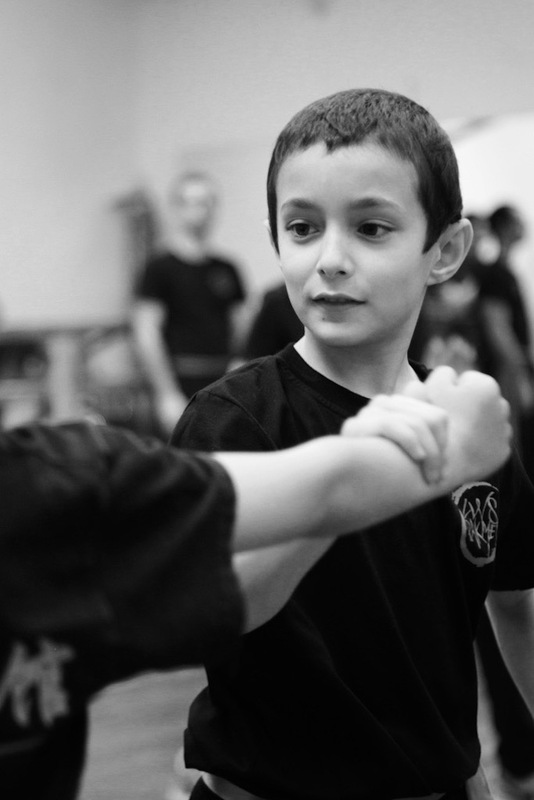 Sifu Benjamin Culos has acquired a strong experience of teaching, by teaching Kung Fu and teaching of French as a foreign language to children since 2006. He considers the Kung Fu classes for children/adolescents as a way to develop rigor and to surpass oneself. Classes for children/adolescents are adapted to their public enable children/adolescents to discover their body and to evolve in a cultural learning environment. Repetitions of codified movements, presented as playful exercises, enable them to thrive while they are learning. As they train and progress, children and adolescents will learn movements with weapons: the staff first, then the saber. The practice of Pak Mei Kung Fu allows the acquisition of the bases of our style: movements, parrying and dodging, kicks and projection techniques. The aim is to allow the children or the adolescents to master their body, develop their techniques and motor fitness, in order to help them to build their self-confidence.